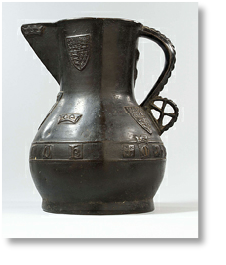 The Friends were formed in 1986 and over the past thirty three years have helped the museums with donations in excess of £130,000; the largest single donation was £20,300 towards the purchase of the Wenlok Jug in 2006. We contributed £15,000 to the recent refurbishment of Wardown House and Gallery. 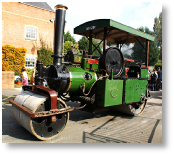 The Friends have sponsored the rebuilding and renovation of two steam rollers and are currently helping with the funding of the restoration of Luton’s last tram, unfortunately this project is on hold at the moment. We provided the funds for the complete restoration of a rare French long case regulator clock, dating from around 1820; which can be seen in Wardown House Museum and Gallery. Our most recent contribution was the purchase of Bob Hope’s boater, a chance find on E-Bay, this was a very quick transaction. We also purchased a unique folder of plants collected from around Luton in 1861 and a rare Swiss hat braid sample book, dating from the same period, Luton’s hat manufacturers would have used books like this when ordering braid. Wherever possible and within reason we try and accommodate requests made by the museums. 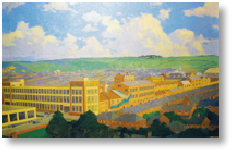 In these difficult financial times, museums across the country will be seeking the support of their Friends, and Luton’s museums are no different, we are here to help if we can. For us to keep on providing support to the museums, it is essential the Friends have a strong membership base, we are always looking to attract new members, the greater our numbers the greater our ability to support the museums. Bob Hope’s Boater, a chance find on E-Bay, because of the interest in this item, we had to react very quickly.